What Moves Do We Do? 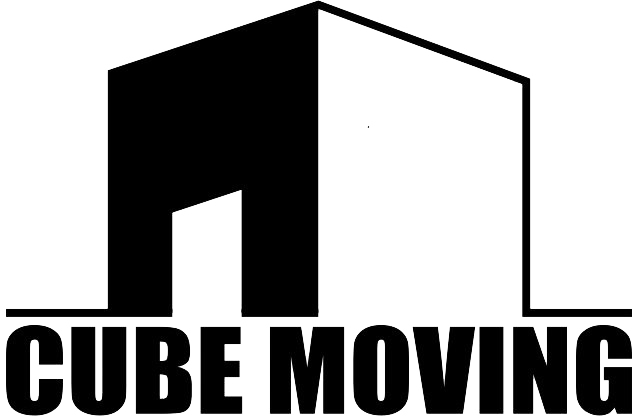 Cube Moving and Storage performs a wide range of moves – from any size residential moves to any size commercial moves. We relocate offices, businesses, apartments, and houses. We also exercise partial moves. Your move could be long-distance or local. Cube Moving and Storage provides long distance moving services whether you’re moving to, or from San Diego. We are a fully licensed and insured moving company, designed to handle the special requirements of long distance moves. Any move that is greater than 100 miles from the origin to the destination or the move crosses a state line considered as a long distance move. We offer binding estimates with reasonable and competitive rates. There are no surprises nor hidden costs. The cost is determined by measuring the weight of your goods and the distance between pick up and drop off locations. Studio: 1,000 to 3,000 lbs. 1 Bedroom Apartment \ House: 2,000 to 4,000 lbs. 2 Bedroom Apartment \ House: 4,000 to 6,000 lbs. 3 Bedroom Apartment \ House: 6,000 to 10,000 lbs. 4 Bedroom House 8,000 to 16,000 lbs. 5 Bedroom House 10,000 to 20,000 lbs. With each move tailored to meet specific needs of our clients. Our San Diego long distance moving specialist will create a comprehensive plan to meet all of your moving requirements, insuring the most competitive price. Besides the transportation charges, additional factors that will effect the price of your move include: full packing service, additional insurance, excessive long carry, shuttle use, storage-in-transit. We guarantee the requested pickup date, and provide a specific time frame for delivery. Any move with the traveling distance between pick up and drop off locations less than 100 miles within the state of origin considered as a local move. You will pay an hourly rate for the movers and a truck. We set our rates according to the number of crewmembers and trucks assigned to complete your move. Hourly rates are subject to PUC MAX 4 tariff. The billing starts from the time the movers arrive at your current address and ends when they complete the move at your new home. According to CPUC (California Public Utilities Commission) provisions, we must charge double driving time between pick-up and delivery addresses. If, under the circumstances, the move is not finished in one day and requires overnight storage, double drive time to and from the storage will be assessed along with overnight storage fees. All charges, if any, will be priced and explained beforehand. We offer full packing and unpacking services as well as a range of packing materials including boxes, paper, tape, and bubble wrap. We also offer partial packing and unpacking services, as well as fragile or delicate items packing at no additional charge.Many customers decide to pack themselves, and we happily coach them on how to do that for no extra charge. We also offer last minute moves and we do not charge extra for it! For our moves, we use 24-26-foot box trucks that are fully equipped for any kind of moves. We provide logistics belts, quilts to ensure that your belongings are kept stable and secure. All reusable packing materials (wardrobe boxes, blankets etc. ), tools and equipment are FREE to use at the moving day, but must be returned at the end of the move. Each truck also carries a supply of non-reusable packing materials for you in case you need or run out of something. The price list is fully available in the order confirmation package. – Advise everybody concerned of your move. – Notify utilities what date to discontinue service. – Make arrangements in advance for services at your new residence. – Make moving arrangements as far ahead as possible. – Be sure to always keep extremely valuable items with you, i.e. currency, jewelry, important documents etc. – Arrange to have a technician remove any satellite receivers. – Whenever possible, try to move at times other than at the very beginning or very end of the month as these are the busiest dates. – Before moving, arrange to have all items being cleaned, repaired or stored returned to you or delivered to your new residence.